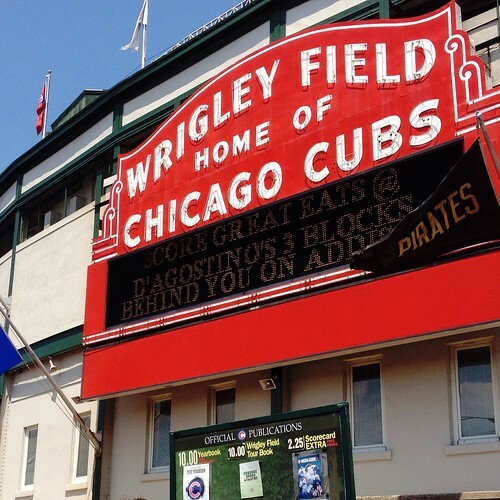 In Chicago, W is for Wrigley field. ...because we all know it isn't for World Series Champion Chicago Cubs. Built in 1914, Wrigley is the oldest National League ballpark and the second oldest major league ballpark (after Fenway built in 1912) still in use. We have tickets to our first games at Wrigley this summer. Can't wait to wear my Cardinal red!